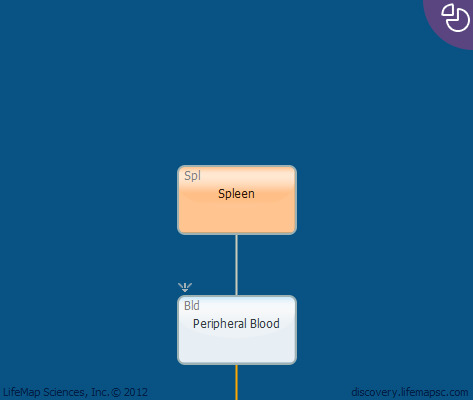 The spleen is a lymphatic system organ found in all vertebrate animals. In humans, the spleen is located at the upper left side of the abdomen, above the stomach and under the ribs. It has both hematopoietic and immunologic functions: it acts as a blood filter, produces blood cells, and destroys old and damaged cells. In the adult, the spleen is responsible for B cell maturation. In mouse, the spleen starts to develop at E9.5.